Orchis provincialis grows to between 15-35cm tall and has 3-8 near-erect basal leaves which are strongly marked with dark purple spots. There are further smaller leaves clasping the upper part of the stem. Each lax inflorescence bears between 5-20 large flowers. The sepals and petals are cream and the lip, which is laterally folded, has a darker yellow centre with fine deep red dots. The spurs at the rear of the flowers are pointed towards the tip and curve slightly upwards. 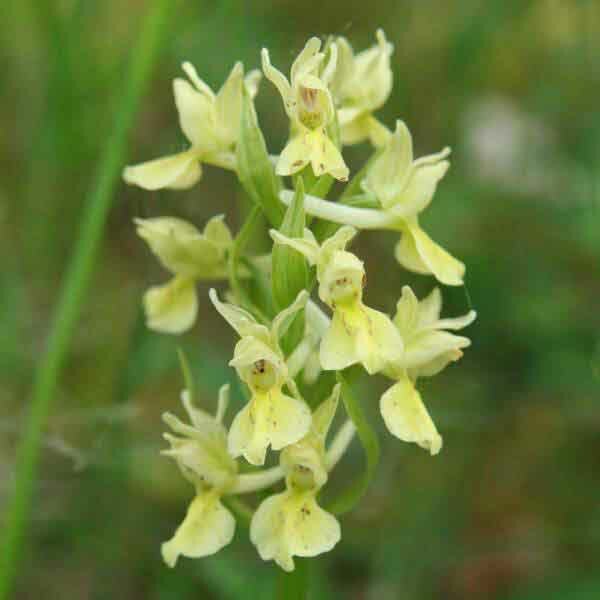 Often confused with Orchis pauciflora, this plant is taller and carries many more flowers on each infloresence than does Orchis pauciflora which is comparatively stunted in its appearance and with far fewer, although often larger flowers. The flower-head of Orchis provincialis is longer and oblong-shaped whereas that of Orchis pauciflora is rather uneven and untidy-looking. 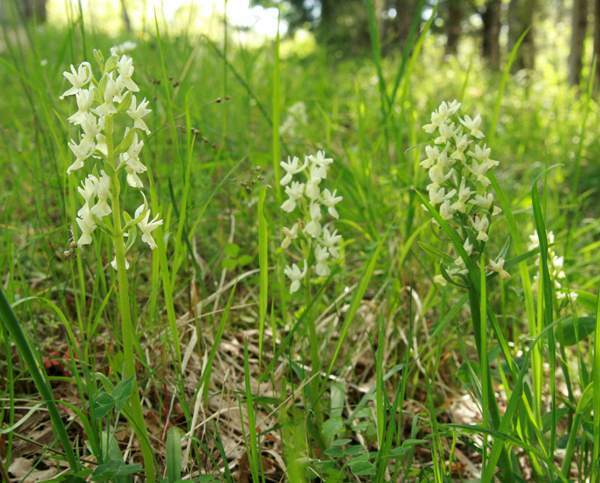 Predominantly a Mediterranean species, the Provence Orchid can be found on the Iberian Peninsula (in Spain but not, so far, recorded from Portugal) and eastwards as far as the Balkans. It is also in Bulgaria and Crete. 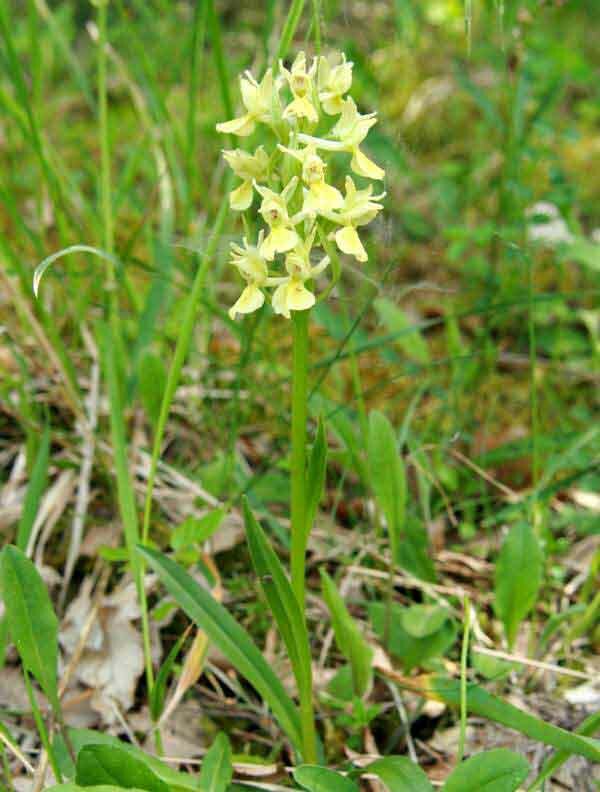 This orchid grows in open or bushy grassland and sometimes in sparse woodland. It is rare and localised. The Provence Orchid flowers from March to April.